Men usually have an opinion on the use of an aftershave. Some have no use for it, others only when they cut themselves and need to quickly stop the bleeding, and others wouldn't think of shaving without the final splash of an aftershave as the final step. Just like personal care products marketed towards women and children, products for men are in the same cosmetics category in that they are not tightly regulated by the U.S. FDA, therefore may contain questionable ingredients that are linked to allergies or health problems. Like anything you put on your body, you should know what exactly is in it. 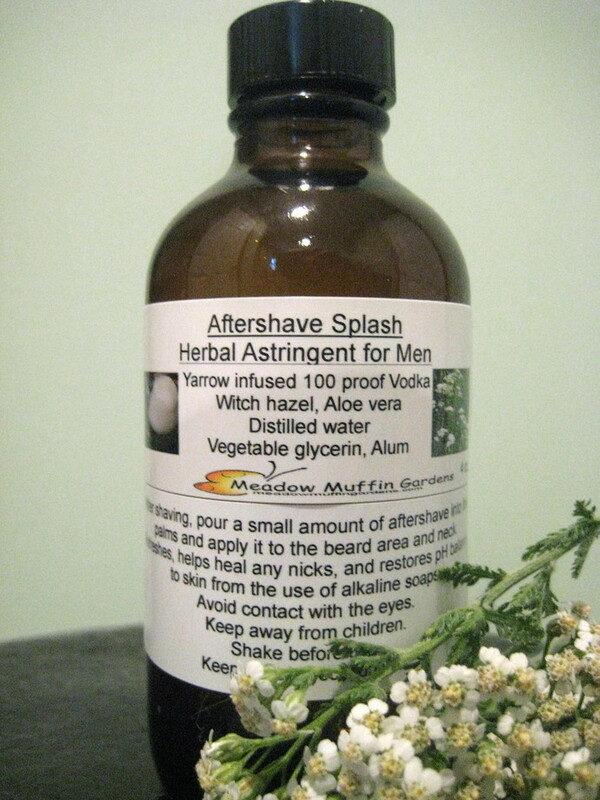 True aftershaves need to have ingredients with astringent power. That tingly feeling usually comes from an alcohol base. Alcohol is cooling and meant to heal small shaving nicks and scrapes. The alcohol used for this aftershave is the herb, Yarrow, steeped in 100 proof vodka. 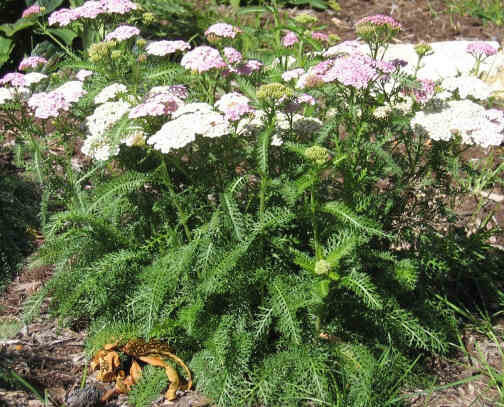 A common name for Yarrow is Staunchwort, as the leaves were traditionally used to stop the bleeding from wounds and nosebleeds. A touch of Alum, aluminum sulfate, is also added to help stop the bleeding from those small nicks. 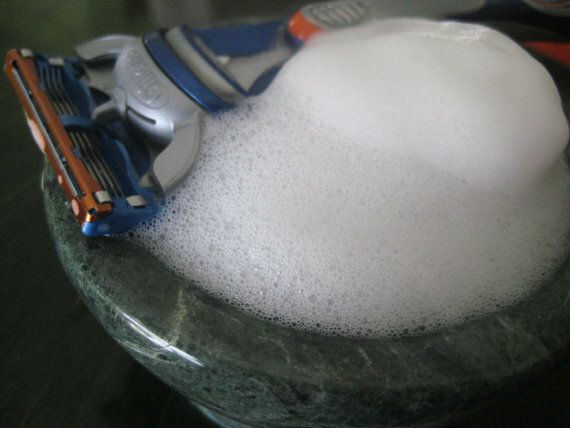 The use of shaving soaps leaves the skin on the alkaline side. Astringents help return the skin to the normal slightly acidic state and provide anti-bacterial properties. The downside to alcohol is that it can be drying and irritate sensitive skin. Witch hazel, vegetable glycerin and aloe vera are added to help counter those drying effects by replenishing moisture and give the face a smooth feel. BEING YARROW IS THE HERBAL BASE FOR THE ALCOHOL USED, THIS AFTERSHAVE ALREADY HAS A REFRESHING "HERBAL GREEN" AROMA SO NO ADDITIONAL ESSENTIAL OILS HAVE BEEN ADDED. 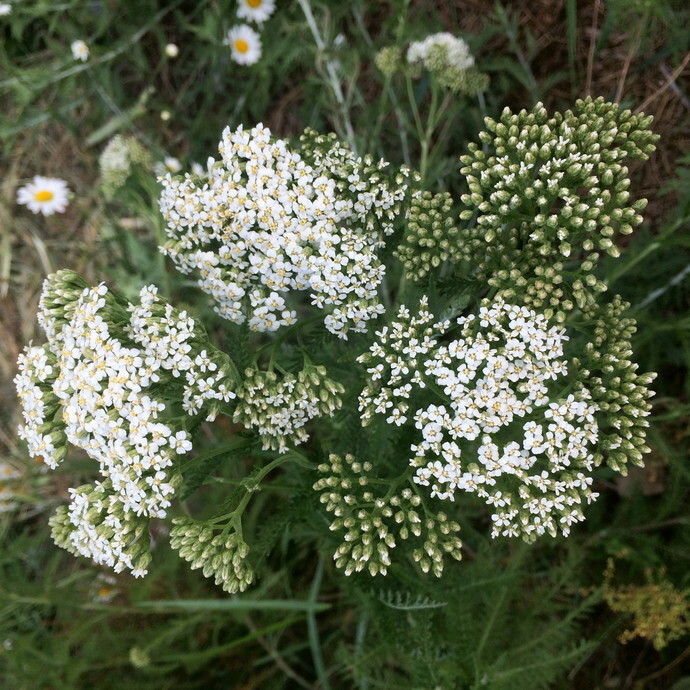 I originally had a list of scent choices but feedback opinions seemed to feel that the natural aroma of the yarrow interfered with the essential oil scent blend so I decided to leave them out unless by request. So if you want added essential oils, please let me know. After shaving, give the bottle a shake and pour a small amount of aftershave into the palms and apply it to the beard and neck area. Use daily if desired to refresh, rehydrate, restore pH balance and help with those little nicks. Aftershave comes in a capped, amber, 4 oz. glass bottle. Another option is for it to be bottled in a plastic bottle with a pop-up type lid. Let me know if you prefer the plastic bottle. Note: Witch Hazel traditionally is made through distillation resulting in a product with 14% alcohol for preservation. Witch Hazel can be made without alcohol but for preservation purposes, benzoic acid, a mild preservative is added. Please let me know upon ordering which type of witch hazel you prefer. Alcohol free is preferred if you want a product for very sensitive skin or are concerned about the toner being too drying. The traditional witch hazel with alcohol is preferred if there is concern with the risk of a preservative causing an allergic reaction. Unless you specify, I'll be using the typical witch hazel with the 14% alcohol.